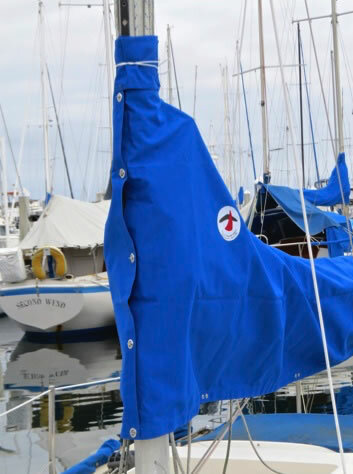 These mainsail covers are pre-made, in stock both in generic sizes and for specific high demand boats. 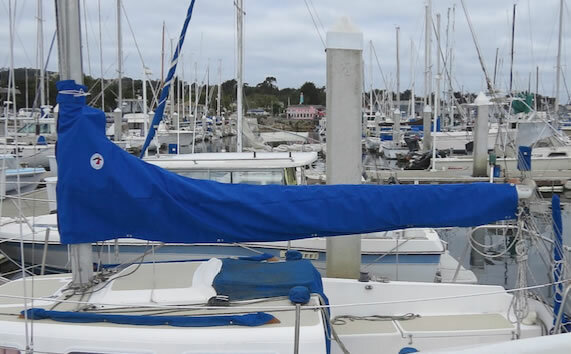 A must for sun and dirt protection, these saddle type main- sail covers protect the sail & boom. They feature twist fasteners along the bot- tom & around the mast. They are open in the back and tie off to the boom for versatility. 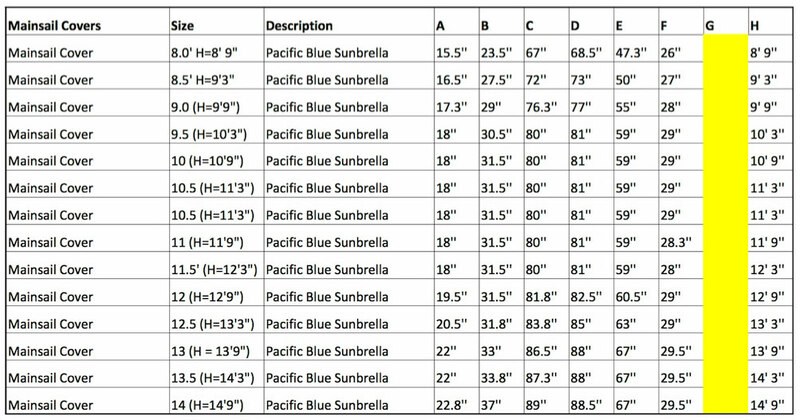 Generic covers are designed to fit boats 20’ and up with average sized rigs as detailed in the Complete Dimensions Chart. Sizes indicate boom lengths the cover will fit. The cover itself is cut 9” longer to allow for wrap around the mast. (Actual cut length is about 9” longer than boom length listed).